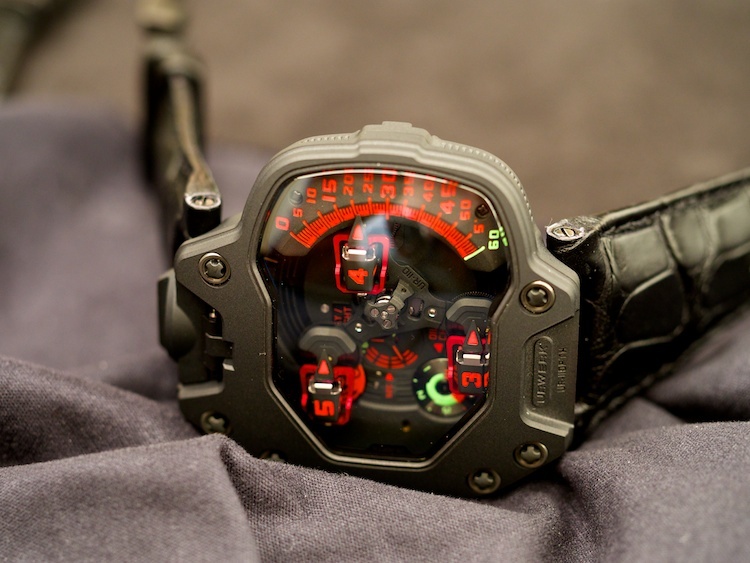 Among the independent watch creators, URWERK is notable for having succeeded in making watches that (we at REVOLUTION have always thought) succeed better than most at seamlessly combining mechanics and aesthetics into a whole greater than the sum of its parts. 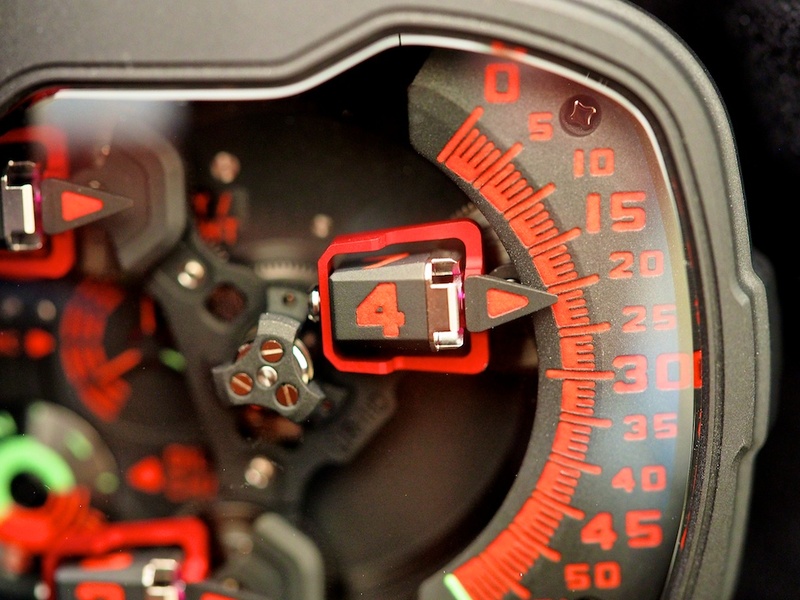 At this year’s BaselWorld they continued their winning streak with, among other things, a striking take on the UR 110: the UR 110 PTH, in black platinum, with an eye-catching red-and-black theme anchored by a black-finished platinum case. 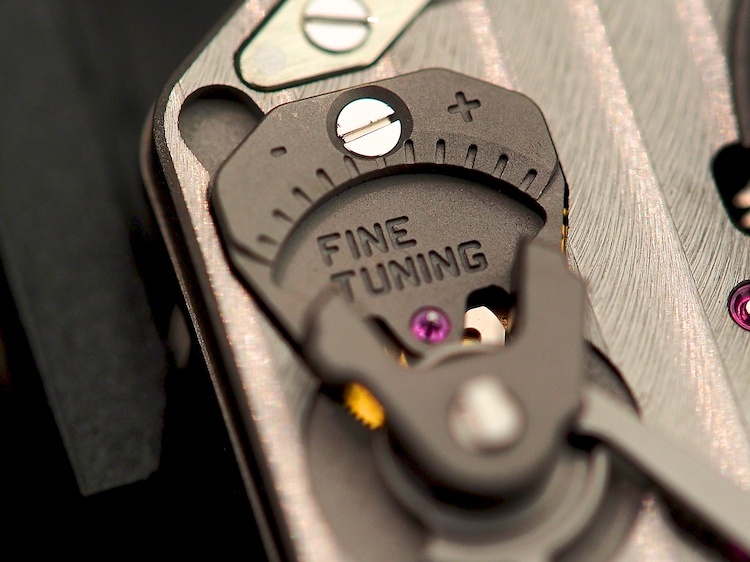 And, URWERK also showed us the first steps in the evolution of a remarkable new complication. Although we can’t tell you exactly what it is or how it works (we’ve been sworn to secrecy) we can tell you it’s going to have enormous appeal to performance die-hards, and that we have never seen anything like it in terms of construction or function from any maker. We’ll be bringing you more news on this intriguing new development as the story unfolds –until then we can definitely say that for the technically minded enthusiast, this will be an especially interesting year to keep an eye on URWERK.